Hello new friends! I was going to start off with something a little more basic and then I made these and had to share them with you. Who can resist pistachios + brown butter + tiny food that makes you feel like a giant? Not me obviously. Only a few ingredients go into these scrummy little cakes, but they take a little bit of fiddling (but are totally worth it I promise). Pistachios, sugar, flour, butter and egg whites are all there is. 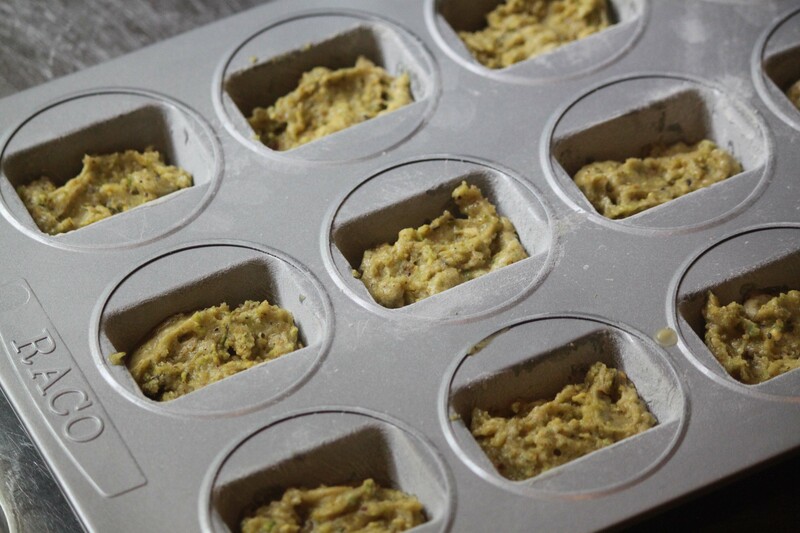 First things first – prepare your tin (I used a RACO one with 12 small rectangular wells) by brushing with melted butter and coating with flour. If you live somewhere magical where you can buy pistachios already ground, then you can skip a step (yay!) otherwise you will need a food processor or coffee grinder (if you use a coffee or spice grinder you will need to do this in batches). Put the pistachios and sugar into the food processor and set it going at a medium speed. It will take a little while to grind the nuts so give it a shake every minute or so to keep them turning over. Once the nuts are mostly ground up (I left a little bit of texture that really adds to the finished cakes) tip them into a bowl and mix in the flour and set aside. Now you need to make the brown butter (beurre noisette). Put the butter in a small saucepan and heat on a medium heat. Once melted, simmer until it changes colour to a dark gold/light brown. It will take a few minutes but the change will happen quite quickly when it does so you need to stir all the time and watch carefully. It will also start to smell like good homemade shortbread as the butter cooks and this will tell you that it’s nearly ready. When it’s ready take it off the heat and pour straight into a heatproof bowl to stop the cooking and cool down. While the butter is cooling, whisk the egg whites until soft peaks form. Stir the cooled butter into the dry ingredients. 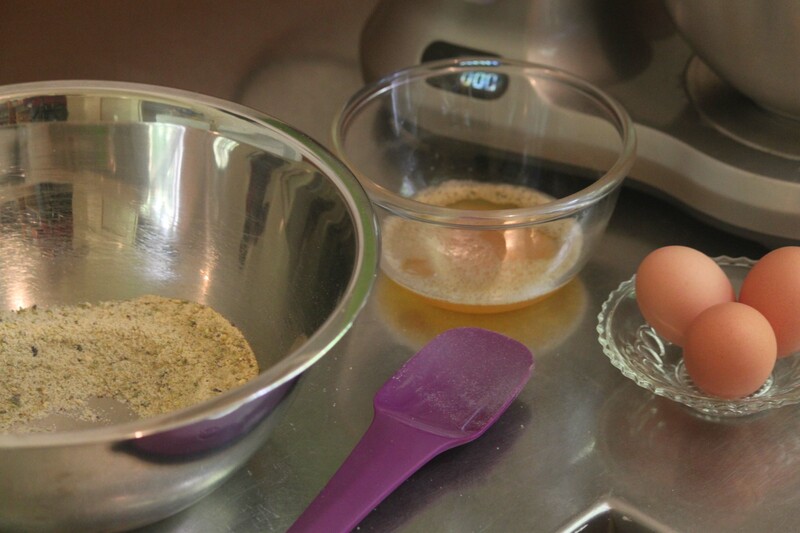 Gently stir in a large spoonful of the egg whites to loosen the batter then gently fold in the remainder. Spoon into the prepared tin (I got 11 of my 12 small wells filled and would probably aim for 8-10 more generous cakes next time). To make 12 full size oval friands I would double the recipe and adjust the cooking time to suit. Bake at 180C (350F) for 15 minutes turning halfway through. The cakes should be firm and peaked in the centre, they may take a little longer in tins with larger wells. Cool in the tin for a couple of minutes before turning out onto a rack to finish cooling. 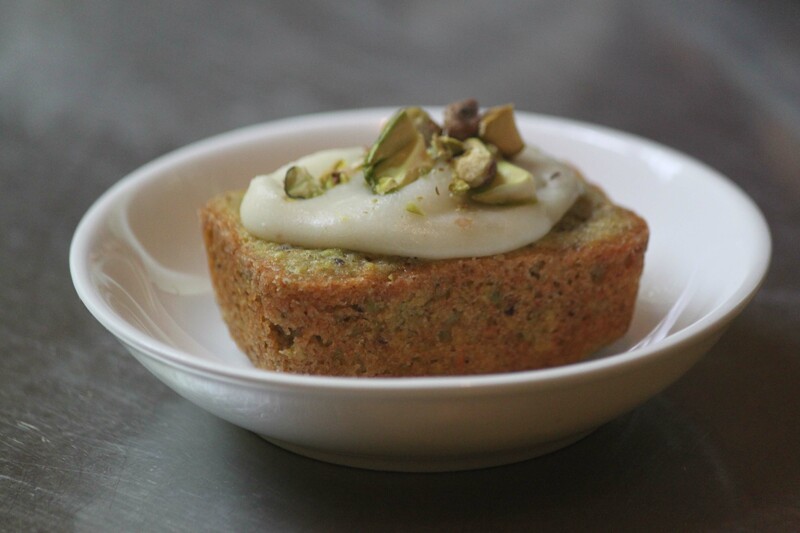 When cold dollop a little brown butter icing on them and top with chopped pistachios. Preheat the oven to 180C (350F). Brush the tin(s) with melted butter and dust with flour (You will need about a tablespoon of butter and two of flour) and set aside. Grind the pistachios with the sugar in a food processor until finely ground but with some texture remaining. 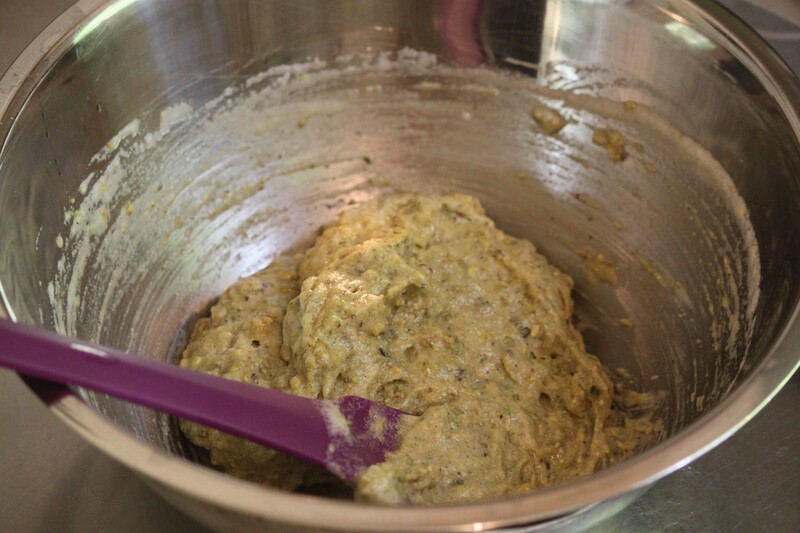 Mix the flour and pistachio mixture in a large bowl and set aside. Over a medium heat melt and then simmer the butter until it is dark golden/light brown. Immediately remove from the heat and pour into a heatproof bowl to cool. Whisk the egg whites to soft peaks. Mix the cooled butter into the dry ingredients. Gently stir in a spoonful of the egg whites to loosen, then gently fold in the rest. Spoon into the prepared tins and bake for 15 minutes, turning halfway through. The cakes should be firm and slightly peaked in the centre. To make the brown butter frosting, melt and brown the butter, stir in the icing sugar and set aside to cool. 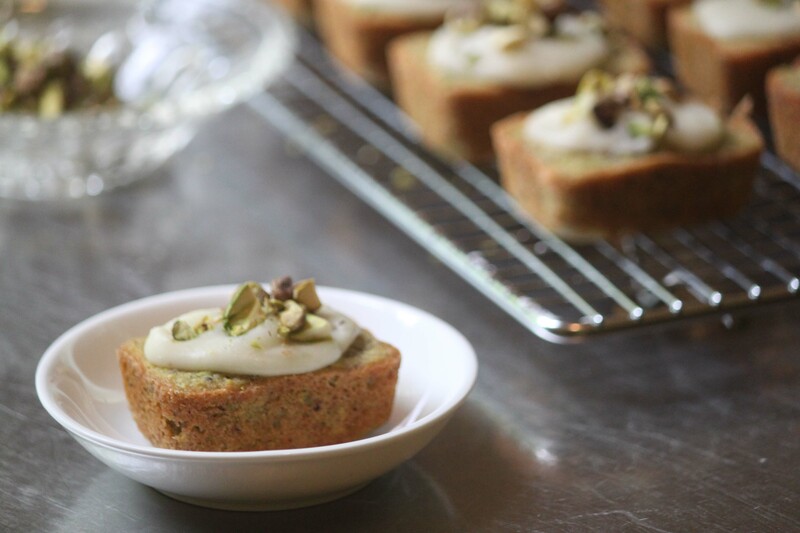 Dollop onto the cakes and top with chopped pistachios.